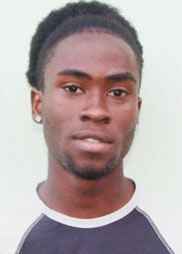 The players are Daryl Franklyn and Cluevann Cumberbatch, in the male division, and in the female category, Nikita Campbell and Bownie Allicott, a virtual newcomer. She is a versatile athlete who has represented St Vincent and the Grenadines at the Under-16, Under-23 and senior levels in netball. She is also an accomplished basketballer, who plays court volleyball, but is relatively new to beach volleyball. Anguilla, Aruba, Barbados, Grenada, Guatemala, Costa Rica, Santa Domingo, the United States, and St Lucia are also participating in the male division. In the female category, Anguilla, Canada, Costa Rica, Grenada, Santa Domingo, the US Virgin Islands, the United States and St Lucia are also competing. St Vincent and the Grenadines has been participating in the NORCECA beach tour every year since 2007. The two St Vincent and the Grenadines teams have been preparing for this competition at the Buccament Bay Resorts Beach Volleyball court and have been assisted by visiting Brazilian coach, Joao Carlos Morales de Campos.